The internal pump is a low pressure pump that is only there to prevent the external pump from vapor locking. It runs at around 5 psi IIRC and you can get away without using one unless you live in a very hot climate and you daily the car in temps above 100F or in high elevations like Colorado. The in tank pump does add pressure that is why it works. 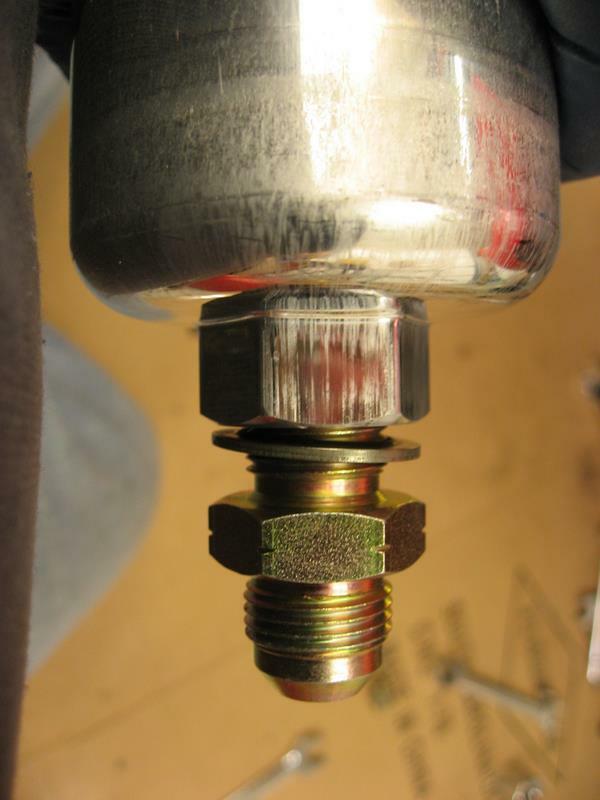 We are not talking huge amounts of presssure here- just enough head to suppress cavitation- a concept that is difficult for most folks to understand but something that is vital to pumped liquid systems that are at or near to their boiling point. Once the liquid is at its boiling point the in tank pump has to add sufficient head to overcome the suction losses into the main pump and then satisfy the NPSHR [nett positive suction head required] for the pump in question. 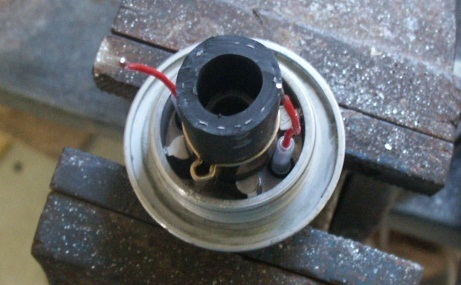 The head due to liquid level inside the tank is next to nothing thus why this priming pump is immersed inside the tank. Do not let the test that Jim did confuse the issue- I suspect that what Jim did was what we call an "end of curve test". This means that the pump is allowed to flow with no resistance so it delivers quite an amount of fuel at little to no head. When it is connected to the main pump the delivery pressure will increase but the flow will drop to suit the demand of the main pump. Under such conditions I would think that the in tank pump will deliver at least 3 feet of head and maybe more. The only way to check this is to fit a pressure gauge in the delivery line or make a test rig with a valve in the discharge and monitor the flow/pressure as the discharge is throttled to the point where the flow is the rated capacity of the main fuel pump. I did a flow test on the in-tank pump after we got it installed and fuel in the tank. flow was 4.6L/min with a 1' head or about double what the main pump needs. 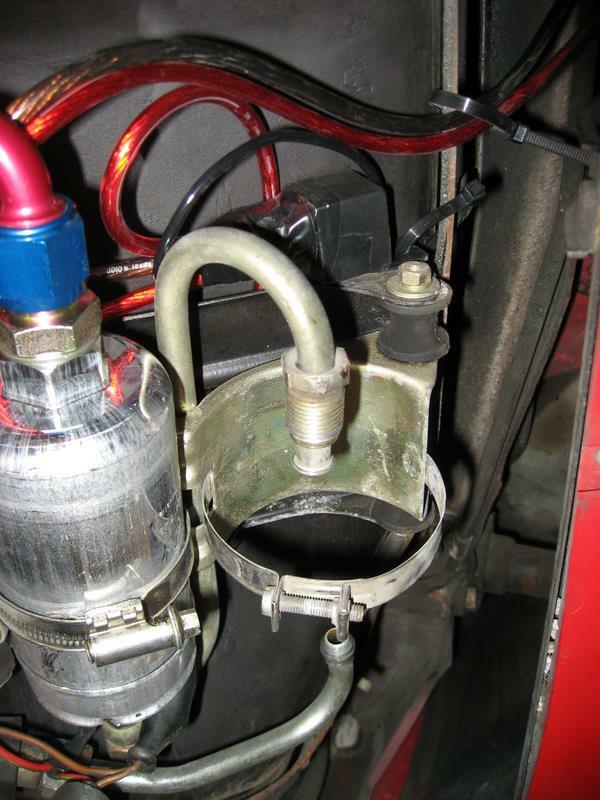 This splendid repair info for how to repair the intank fuel pump was posted on Rennlist by Andrew Olson. Just to make in available and easy to find, I am offering a copy here. All the credits go to Andrew for the good work. 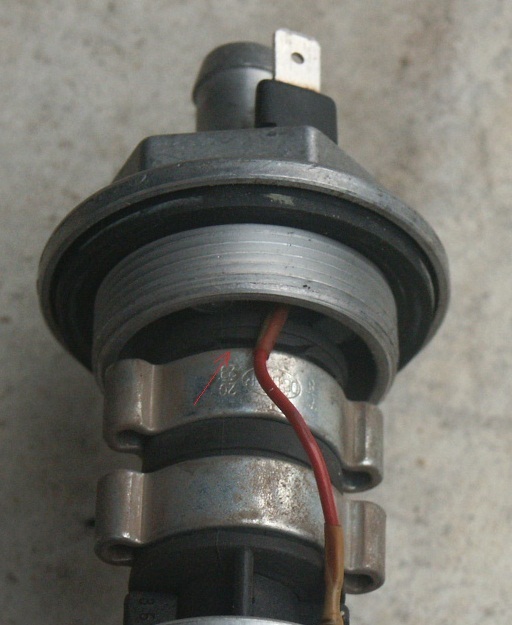 Recently, my external fuel pump seized up on me. This was precipitated by a POS in-tank pump. 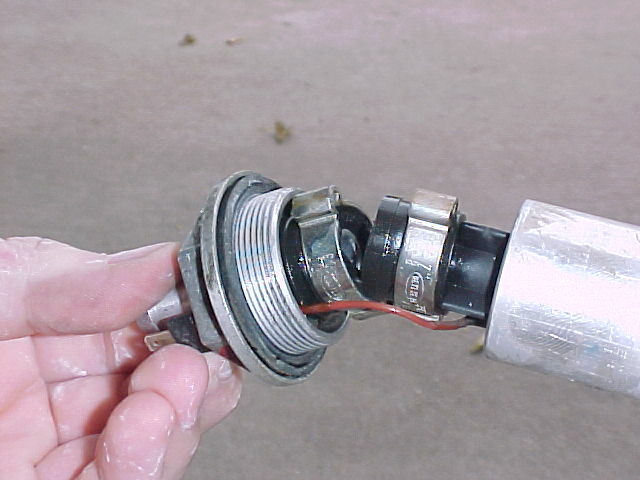 If you have an in-tank pump, chances are you have the same failure as me, and you're living on borrowed time until your external pump ingests a hunk of rubber or other debris and jams the impeller. 1. Disconnect the batter. 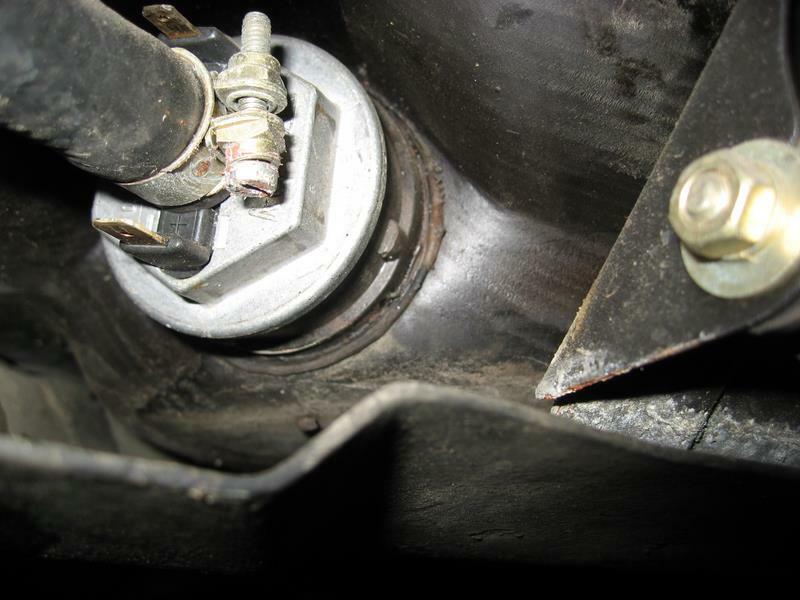 Remove the fuel pump cover which is on the bottom of the gas tank. There are two nuts that hold the cover on. Remove these and pull the cover off. 2. 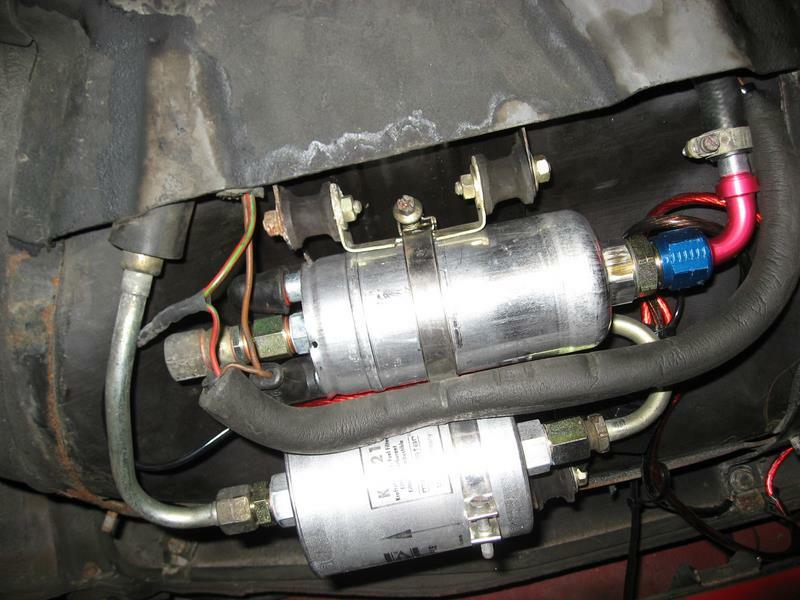 You can now see the (from top to bottom) fuel filter and external fuel pump. 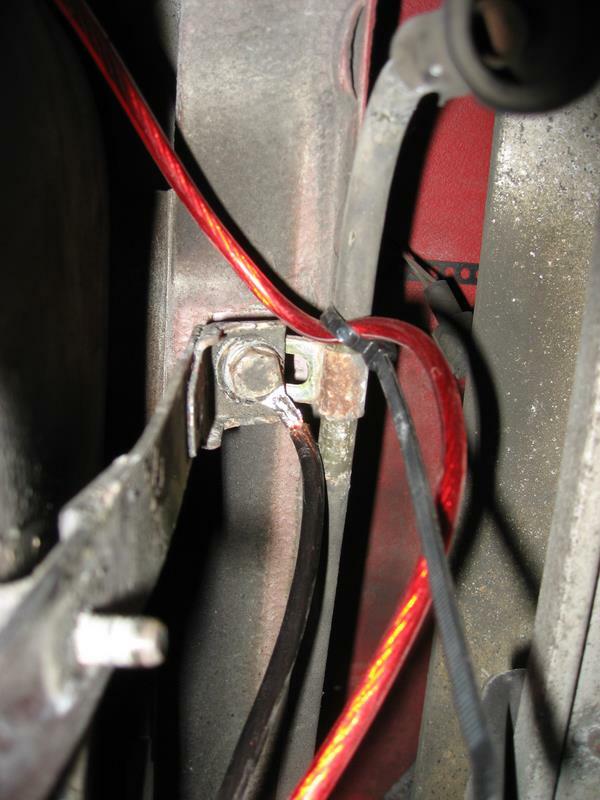 In this picture I have already disconnected the electrical connections to the fuel pump. 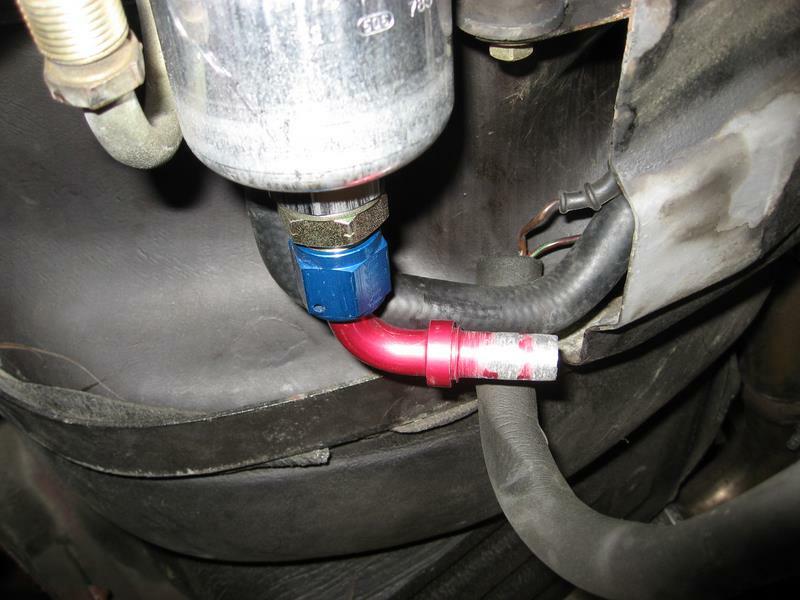 At this point, if you still have gas in the tank, you can disconnect the hose that goes to the external pump and drain the tank. I used a 5-gal pail and then siphoned it from that into a gas can and filled up my minivan with the excess gas. 3. 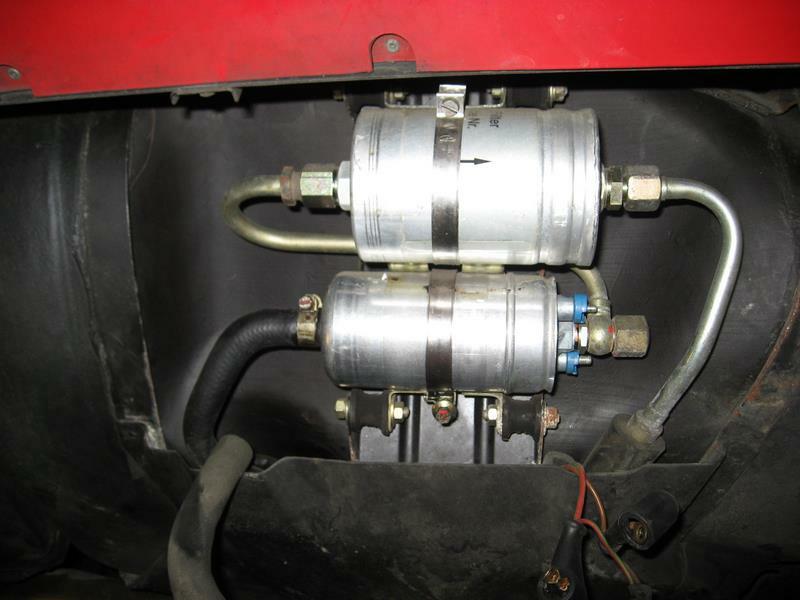 Once the gas has been drained you can disconnect the fuel filter and the fuel pump. 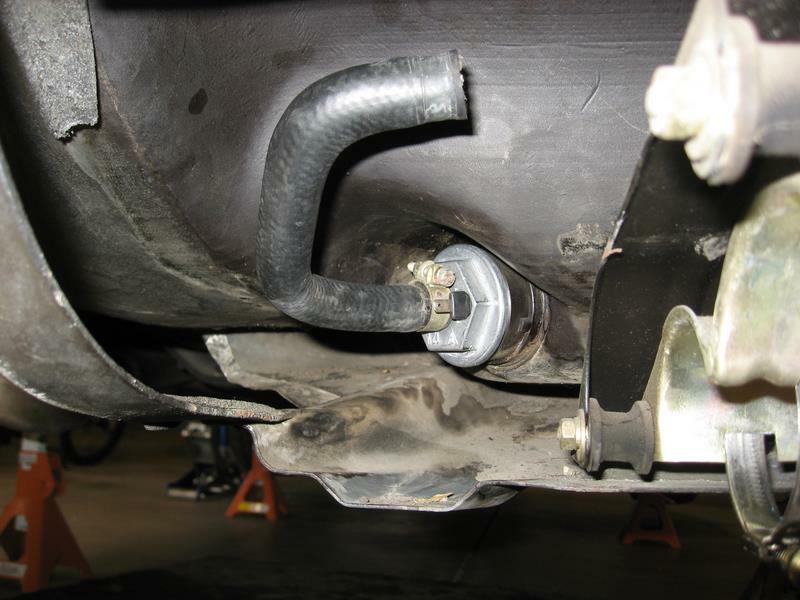 If you have the internal pump or if you are going to replace the in-tank filter, you will need to remove three bolts that hold the straps that hold up the gas tank. The gas tank will not come down, so don't worry. 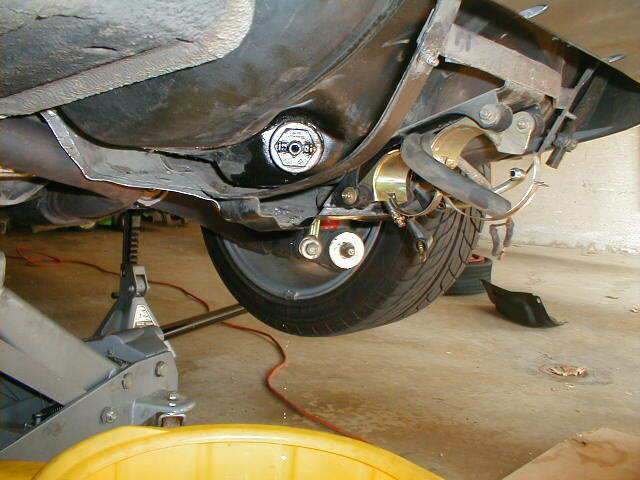 There are 2 bolts on the rear bumper and one near the transmission. Sorry, no pic of these. 4. When you have dropped down the straps, you'll be able to get at the in-tank pump. If you have a 36mm socket, you'll finally be able to use it here. 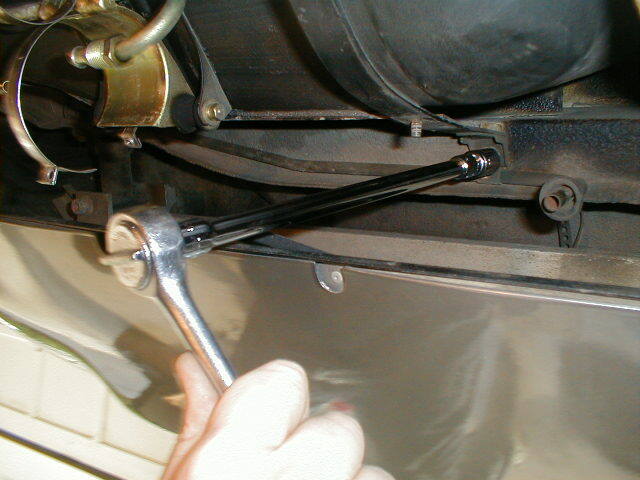 I didn't have one so I used an adjustable crescent wrench and had no problems. 5. This is what I found when I pulled my in-tank pump. there is a small section of rubber hose that fails. You might be able to replace the hose with a small section of 1/2" i.d. 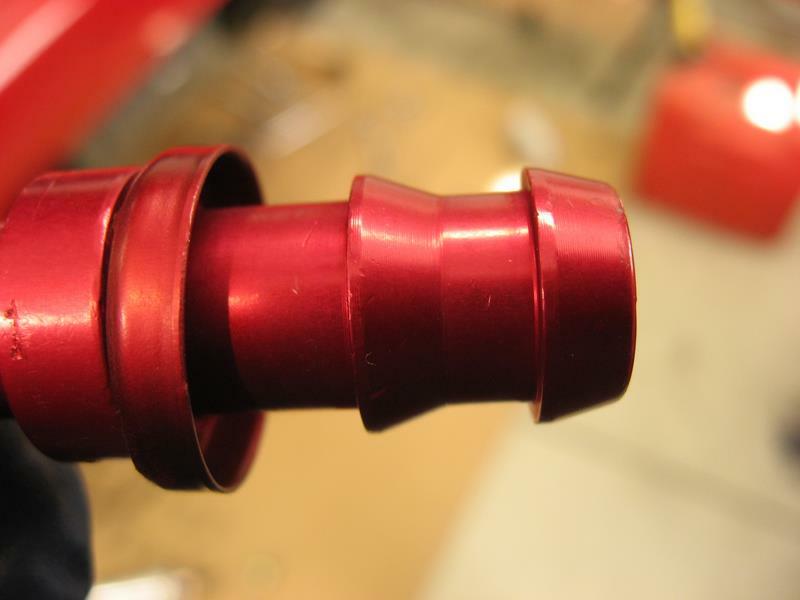 fuel hose. to make a better repair. I decided to go ahead and replace mine and I'll fiddle with my old pump at a later date. 6. Install the new in-tank pump with a new gasket. Don't over tighten. Reconnect the hose. The pump, wiring kit (not pictured), from left to right : 8AN 90* push-loc hose-end, 8 an MF x 18mm 1.5m (steel), washer o-ring for 18mm threads. 8. You will need to remove the hose barbs. I used a wheel grinder and then use some sandpaper to smooth out. The second pic is before I used the sand paper. I went up to 400 grit to make it as smooth as possible. 9. 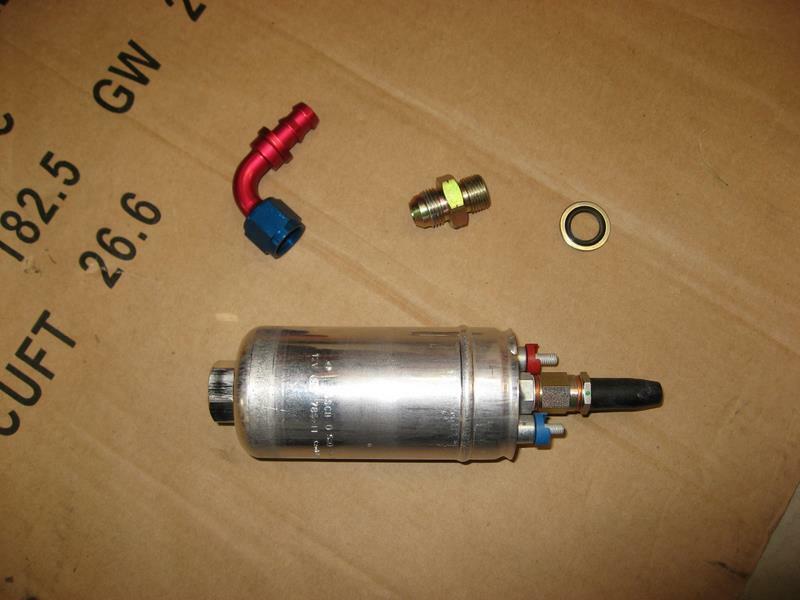 Assemble the bits to the fuel pump as pictured and then mount the fuel pump into position. 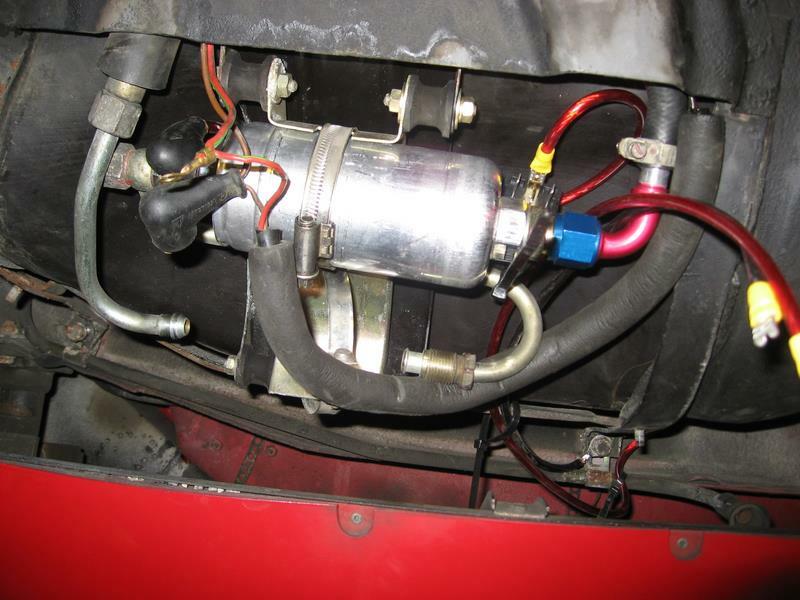 As you can see in the 2nd picture the fuel hose is too long. I marked the fuel hose and cut it so it would fit and re-fitted the line that goes from the pump to the filter as shown in the 3rd pic. 10. The wiring kit is really a nice little kit. This is needed because the stock wiring isn't quite up to the task of feeding the pump's electrical needs. It's a little mickey mouse to hook up but not too bad. I don't have everything documented, but the wiring kit comes with direction albeit a little difficult to follow. Here's how I routed some of the wires. I used the bolt for the gas tank strap as the ground for the relay. At ths point I have a lead from the fuel pump's + side to the relay. When I had everything routed, here's where the relay ended up. I wrapped it up in some electrical tape to make sure nothing could short out. 11. 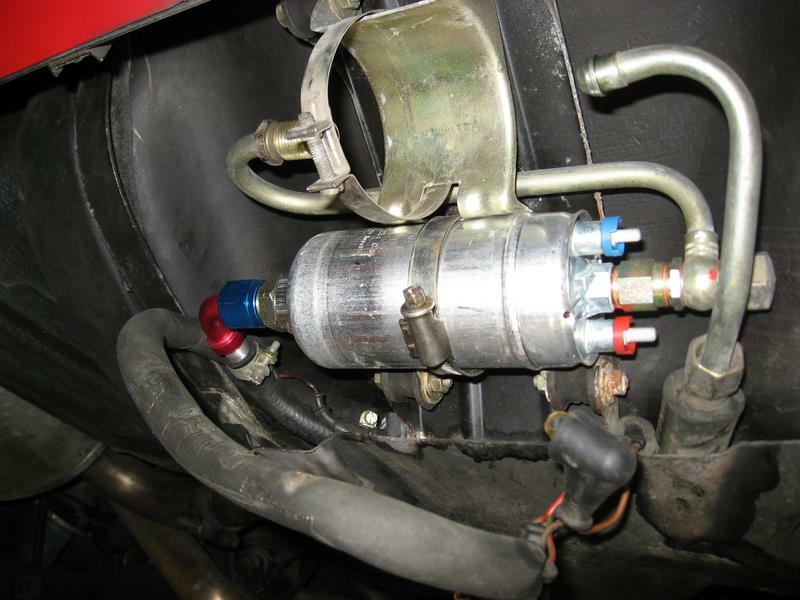 Now you can install the fuel filter and snug everything up. When you're done it should look something like this. Then just snug up the bolts for the tank straps. At this point I would add some fuel, look for leaks, and if none are present try starting the can and check for any other leaks. I didn't have any leaks. So I re-installed the cover and took it for a spin. Andrew Olson - 91 928 GT TS 5-Speed - Guards Red/Classic Gray... yeah... it's Supercharged! Having a noticeable fuel pump buzzing, I decided to change-out my fuel pump. On inspection I see I have both in-tank pump and exterior pump. Pat McGinnis was kind enough to assist on the R&R. Here are some pictures with some pointers. 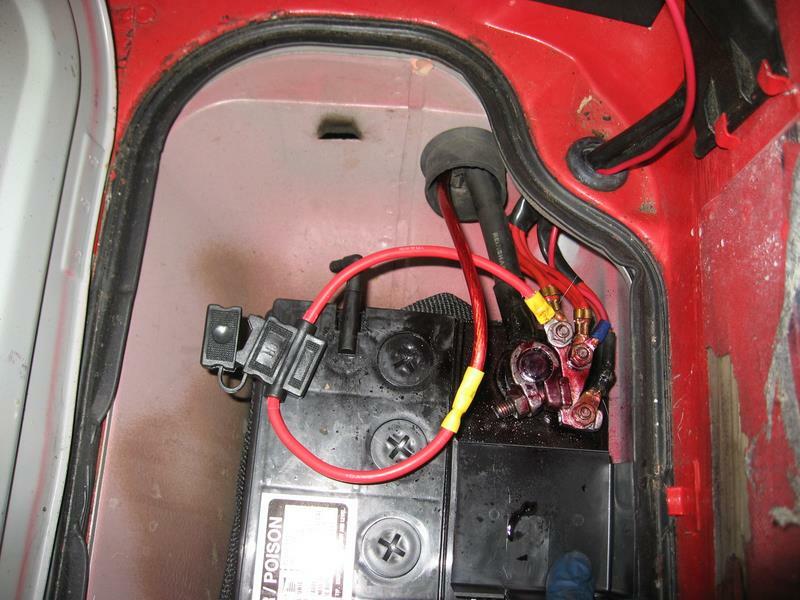 Before attempting a fuel pump R&R, leave as little fuel as possible in the tank. 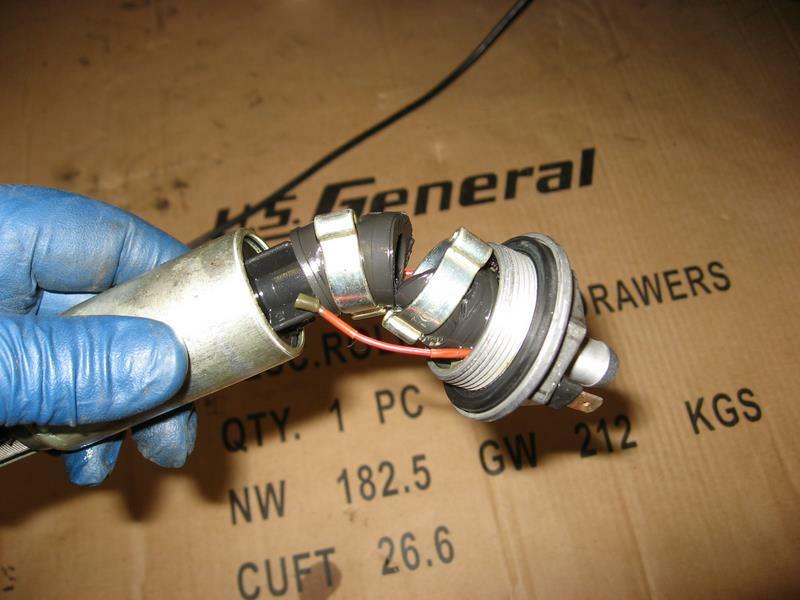 With the car running, pull the fuel pump fuse to relieve pressure in the system. 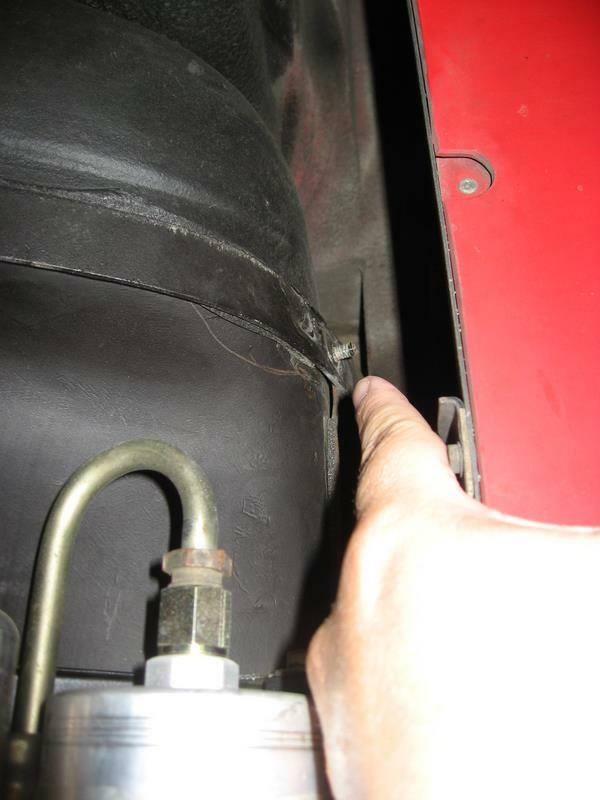 When loosening the fuel tank strap bolts, only remove the aft bolts. extension helps with these bolts. for the interior fuel pump (928.201.187.02). to insure fuel is not contaminated while the dust is flying. 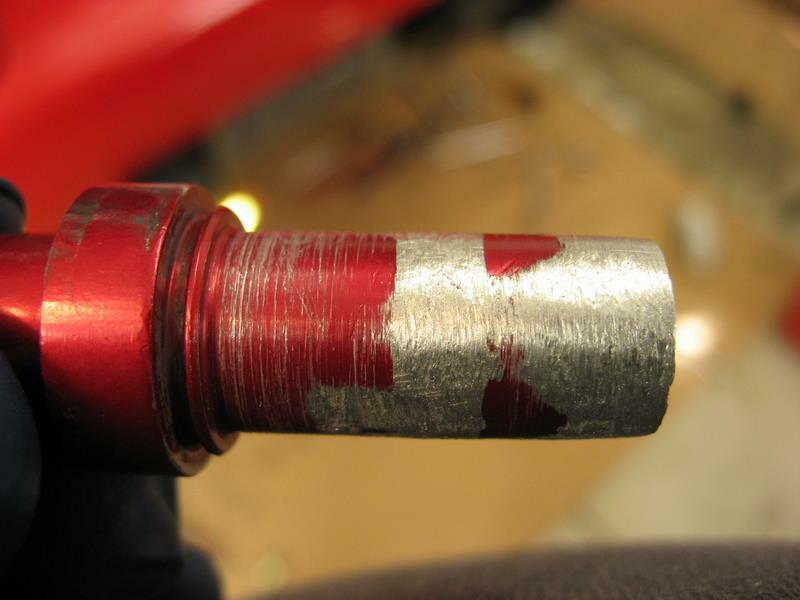 the fuel line between the pumps, opps. I'll get fixed up this week. In tank pump repair with pics. Here’s a run through of the repair I did on my in-tank pump, which I’ve been meaning to document for a while. 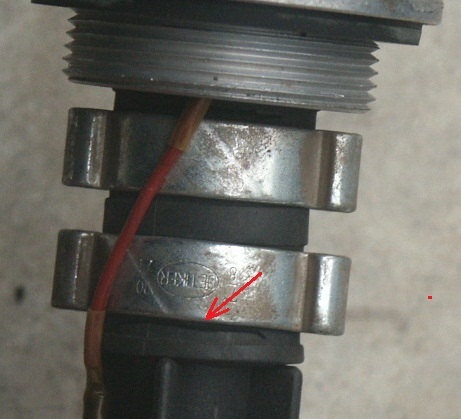 I pulled my in tank pump (original never been touched) and found that that the hose was still intact, but starting to split, as the highlighting arrows show. When I flexed it, it wasn’t difficult to get it to split right through. I was surprised at the crappy un-reinforced hose that’s used as standard, and not at all surprised that it splits and causes the problems it does. The clamps pinch the hose so much that it starts cracks near the clamp edge as you can see. I figured that fitting reinforced hose would limit the compression and distortion of the hose, and would be likely to be more reliable. I cut the hose off, but found that when I flexed the wires I had a soldered joint come apart, so I cut away the old hardened shrink sleeves, de-soldered the wires and removed them as well. Here’s the pump with the hose and wires removed. I'm sure that the bad soldered joint that I found was causing an intermittent difficult/long cranking time start problem. The wires hadn't been inserted into the hollow terminals, or properly soldered. 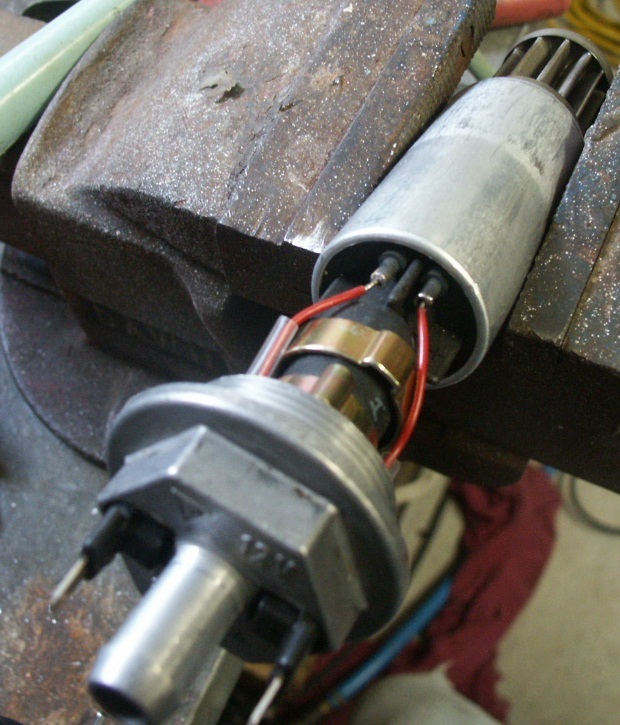 I then fitted a new section of reinforced submersible high pressure fuel hose to the tank fitting, cut to the same length as the removed original; making sure it was cut really square on the ends, fitted a new clamp, soldered the wires back into the terminals, and fitted new heat shrink sleeves to those terminals. I then pushed the assembled tank fitting and hose onto the pump, with a loose fitted clamp, re-soldered the wires back into those connectors, and loose fitted new heat shrink sleeves. Here’s another pic of the loose assembly ready for clamping, re-soldering of the wires into the terminals, and shrinking of the terminal insulating sleeves onto the pump. Here’s the complete assembly, with fitted clamps, and heat shrink sleeves in place. I oriented the clamps the way I did to keep them away from the wires. Notice how the new hose is not squashed like the old one, even though the clamps are tight. I attached a hose to the outlet and tested the pump in a bath of kerosene, and then refitted it to the tank with a new O-ring, after drying with compressed air and cleaning the pleated intake filter. After fitting I put some fuel back in the tank and ran it for a while to flush it and check for any O-ring or hose leaks. 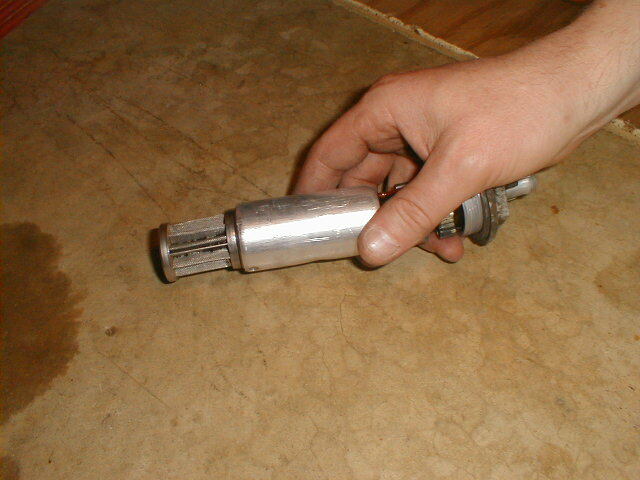 The pump motor brushes tend to wear quickly. When I took apart this pump on my '90 S4 at about 89K miles, besides the split hose, the brushes were gone on one side (cause of motor falure) and almost gone on the other side. 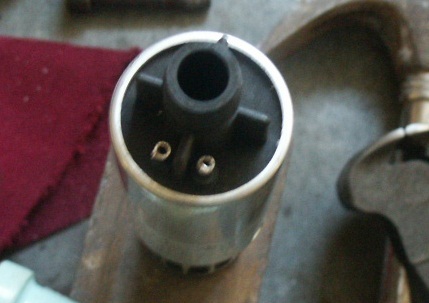 These internal pumps are usually only good for about 60K miles.